These are not your father’s giants! Wood giants—animalistic evolutionary ancestors of hill giants—have emerged from the forests of the Fulthon Mountains to harry and pillage human villages with impunity. Ferocious and feral, they kidnap the weak to sacrifice in their barbaric rituals. Decades ago, your ancestors—stout and brave adventurers of renown—eliminated a previous giant threat, and thus people expect such heroism from you. 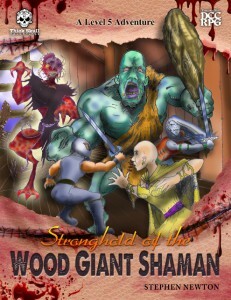 Stronghold of the Wood Giant Shaman was lovingly written as homage to a beloved classic RPG adventure module; crafted in a similar tone to some older adventures of yore, but spiced up with a distinct DCC RPG flavor. A pile of new monsters including a full write-up of wood giants (complete with custom Crit Table), the squatch, and the dreaded freshwater catfish troll. 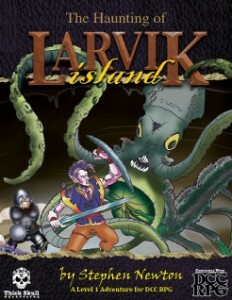 An adventure that takes the PCs not only through the wood giant’s lair, but into the weird and mysterious Shadow Plane where they will face creatures most unpleasant. 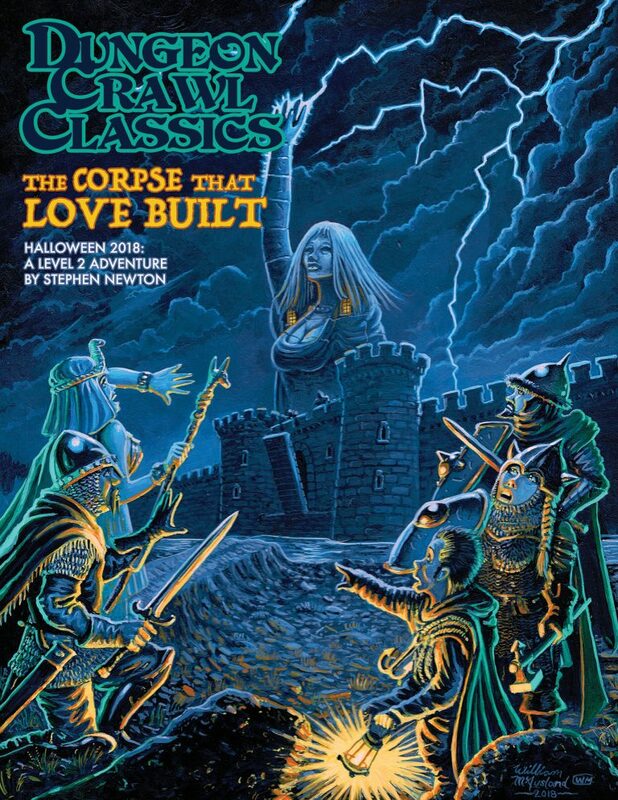 Evocative artwork to frighten your players back to their humble zero-level roots come game day. 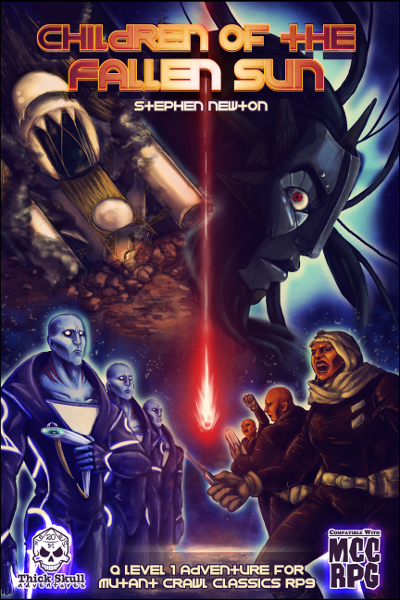 An epic finale so terrifying that bards will sing of it for ages. 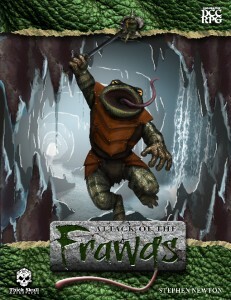 Print version: available at FRPGames.com and other fine retailers! If you’re having problems finding a print copy, drop me an email and I can put you in touch with one of the fine resellers who sell the modules at conventions.